George Yu, MD, a urology professor at the George Washington University Medical Center in Washington, D.C., says that, for many men with low testosterone, poor sleep is the most important factor. A lack of sleep affects a variety of hormones and chemicals in your body. This, in turn, can have a harmful impact on your testosterone. Make sleep a priority, aiming for 7 to 8 hours per night, even if it means rearranging your schedule or dropping your habit of late-night TV. Prize your sleep, just like you’d prize a healthy diet and active lifestyle. It’s that important. If you’re having problems getting good sleep on a regular basis, talk to your doctor. 2. Keep a Healthy Weight. Men who are overweight or obese often have low testosterone levels, says Alvin M. Matsumoto, MD, of the University of Washington School of Medicine in Seattle. For those men, losing the extra weight can help bring testosterone back up, he says. Likewise, for men who are underweight, getting your weight up to a healthy level can also have a positive effect on the hormone. 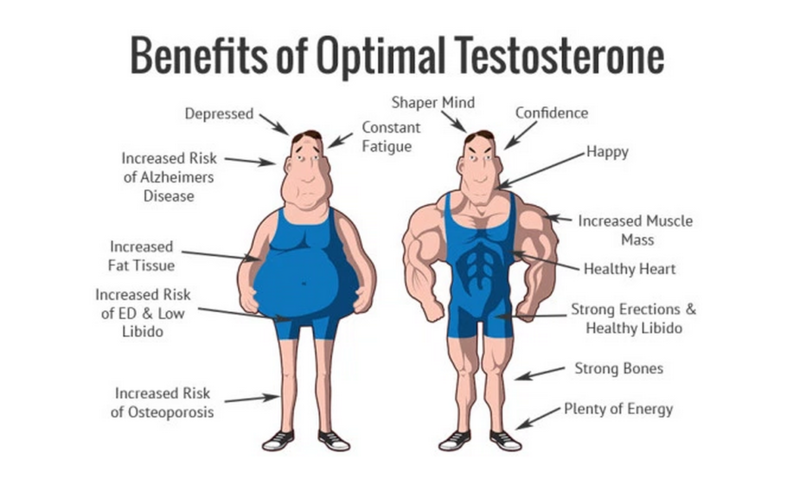 Testosterone adapts to your body’s needs, Yu says. If you spend most of your time lying on the couch, your brain gets the message that you don’t need as much to bolster your muscles and bones. But, he says, when you’re physically active, your brain sends out the signal for more of the hormone. Walking briskly at least 10 to 20 minutes a day. Building strength with several sessions of weights or elastic bands each week. Work with a trainer to learn proper form so you don’t injure yourself.